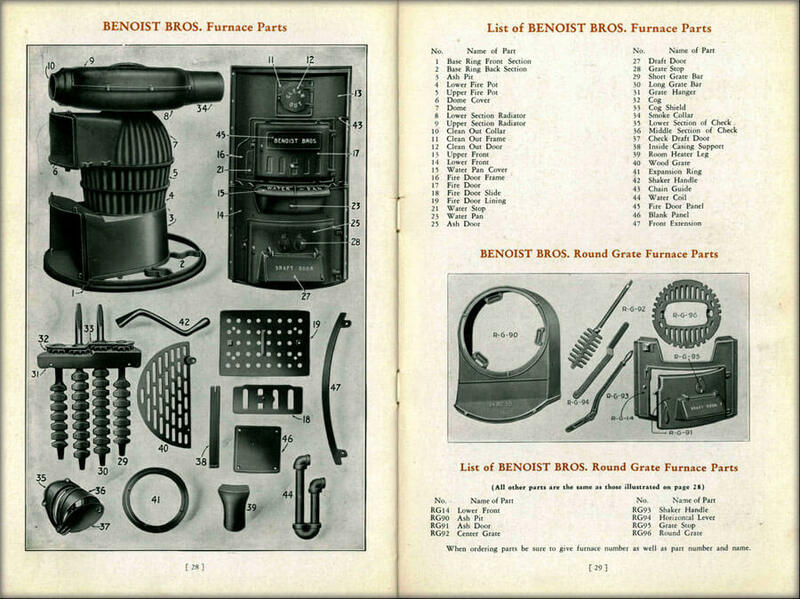 Benoist Brothers Supply Co. is a full service wholesale distributor of heating and air conditioning products. Currently the company offers 10 convenient Pro Stock locations in Illinois, Missouri, Kentucky, Tennessee and Indiana. The management team at Benoist Brothers has over 400 years of HVAC experience and believes that excellence in customer service is our Number One Goal. The Benoist Brothers sales team has the expertise and knowledge to help you meet your needs for all heating and air conditioning products. Experienced employees provide assistance in a fast and friendly manner. 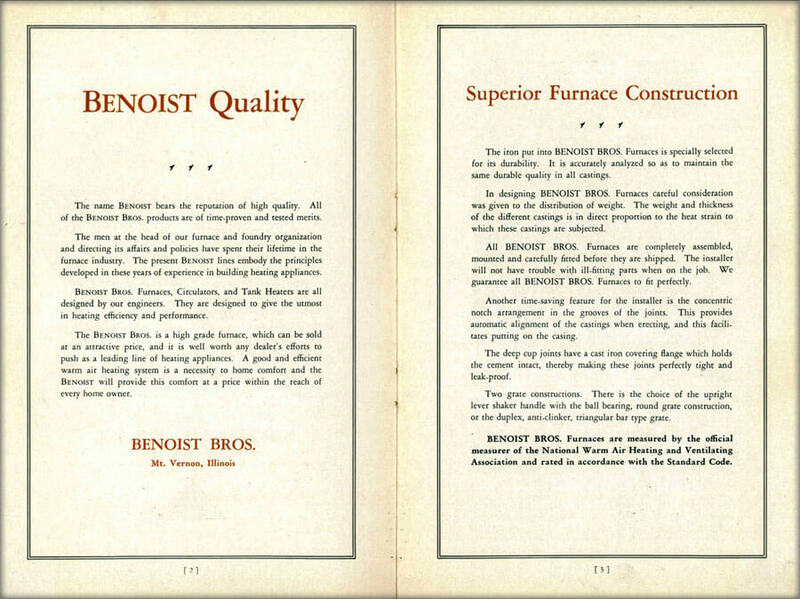 Benoist Brothers was established in Mount Vernon, IL in 1928 by 3 brothers: Ray, Roy and Charlie Benoist. 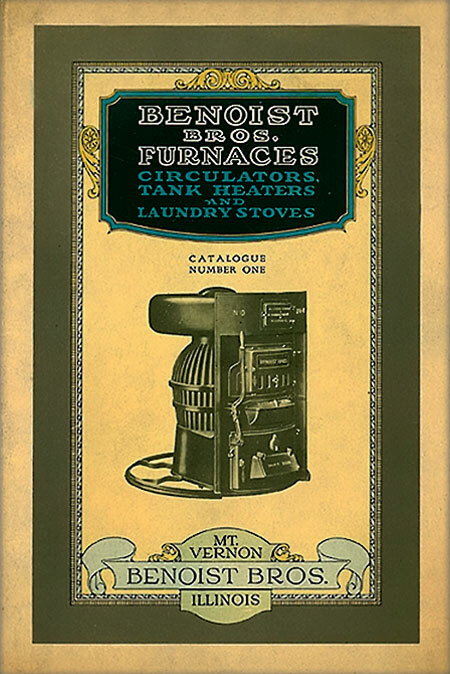 Before Benoist Brothers sold HVAC, the company built and sold coal furnaces. Charlie had a son, Albert, who became the second president of Benoist Brothers. He worked for 30 years and never fully retired. Albert’s son, Jack Benoist, joined the business in 1974 and served as president and CEO from 1987 until 2015. Benoist Brothers has expanded to 10 stores located in Mt. Vernon, IL (1928), Jackson, MO (1987), Belleville, IL (1989), Evansville, IN (1991), Fenton, MO (1993), Owensboro, KY (1995), Union City, TN (1999), Paducah, KY (2003), Springfield, IL (2006), Earth City, MO (2013). Each of our warehouses are filled with large inventories of geothermal and solar thermal equipment as well as parts for energy saving systems. Our modern facilities have state of the art equipment providing fast and accurate service for ordering needs. Engineering expertise is available for facility layout and planning. With our fleet of trucks, Benoist Brothers will deliver promptly to meet all of your HVAC needs. We currently have two headquarters located in Mount Vernon, IL and in Fenton, MO.